I thought it would be cool to show off an old project of mine. 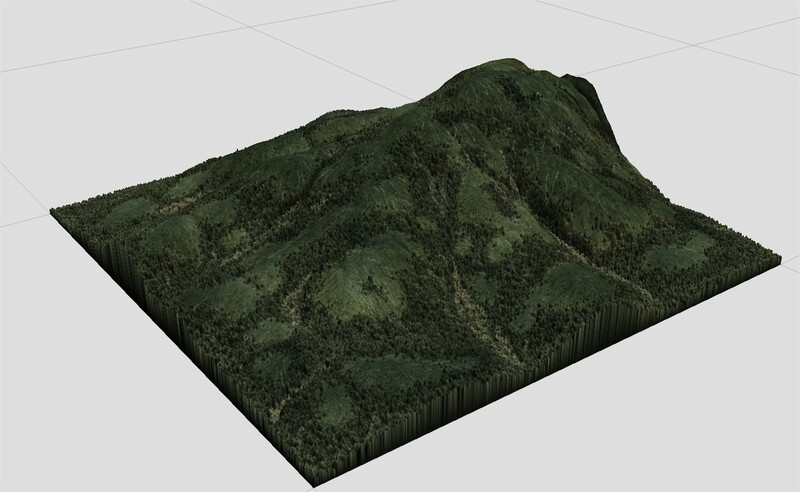 Here is my attempt at a photorealistic terrain in World Machine without that patented, "World Machine look." It consists of a number of custom macros to control color distribution and variance. Using the layout generator, I placed the hills where I wanted then used the internal noise functions to drive the smaller details. No textures are used; everything is color inside WM. The trees node is probably the most interesting in that the trees are large within the high value areas within the distribution map, while the darker areas falloff to smaller and more scattered trees. That's simply stunning. Beautiful!! I have no idea how to replicate this. A tutorial or breakdown of some kind would be highly appreciated. I agree with the others -- beautiful! How did you get the nice rounded tops? In Wilbur you accomplished this by using the Dilate filter. But I don't know how to do this in WM. Wow, I thought this made in Vue or something. This is really artisitic work. The trees look just like they should at that viewing distance.